Founded in 1995, the International Door Association's primary mission is to provide programs and services to door and access systems dealers, for the express purpose of enhancing their value and professionalism. Mike Guthrie currently serves on the Board of Directors for the organization as the Director of Region 4 which includes an 8 state area. 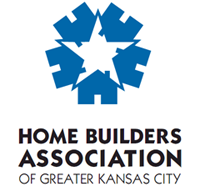 The Home Builders Association of Greater Kansas City is the voice of the housing industry and the source for housing information. Comprising approximately 550 member companies, the HBA represents an industry that supports thousands of jobs in the Greater Kansas City metropolitan area. Raynor Garage Doors of Kansas City is an active member of the association. NAHB is a trade association that helps promote policies that make housing a national priority. Since 1942, NAHB has been serving its members, the housing industry, and the public at large. Kansas City NARI is the premier resource for the remodeling industry and its consumers. Our company is proud to be an active member of the local chapter for over 25 years. Mike Guthrie has served as President and Chairman of the Board and continues to play an active role in several capacities. We are proud to be a screened & approved member of Angie's List.